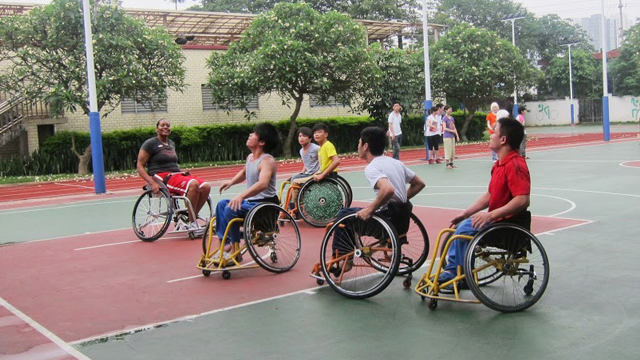 Dr. Woodson-Smith plays wheelchair basketball with some of the students at Guangzhou English Training Center (GETCH). 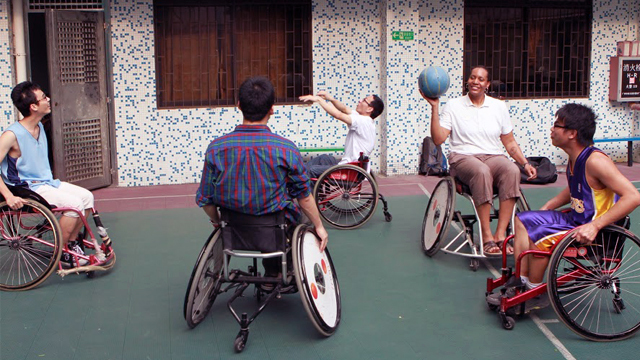 Sports Envoys Dr. Woodson Smith and Dr. Clark talk with high school students at Zhi Xin High School about disability sports culture in the United States. 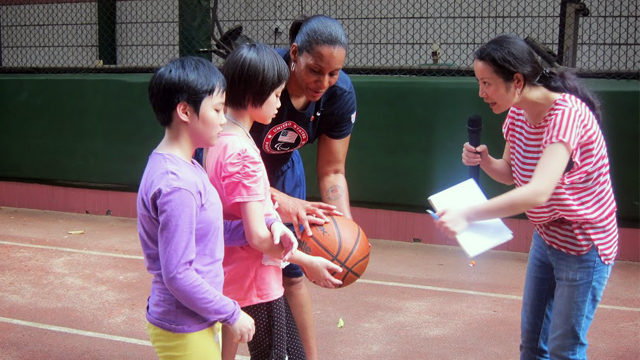 Dr. Woodson-Smith assists a blind student with a basketball at Peiying Vocational School. 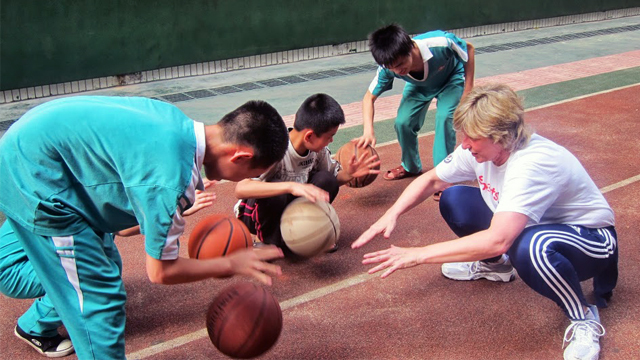 Dr. Clark teaches students basketball skills at Peiying Vocational School. 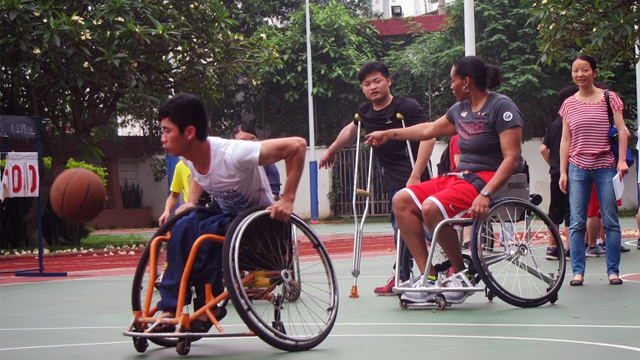 Students at Peiying Vocational School play wheelchair basketball with Sports Envoy Dr. Woodson-Smith. 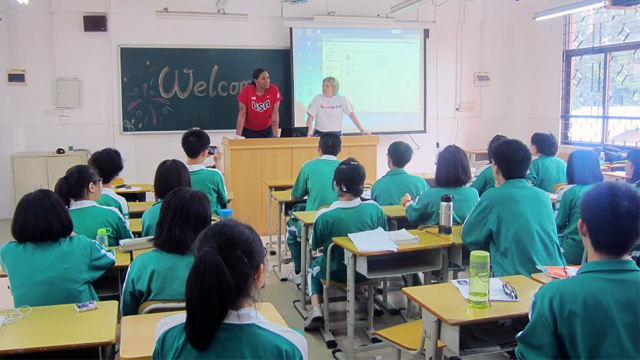 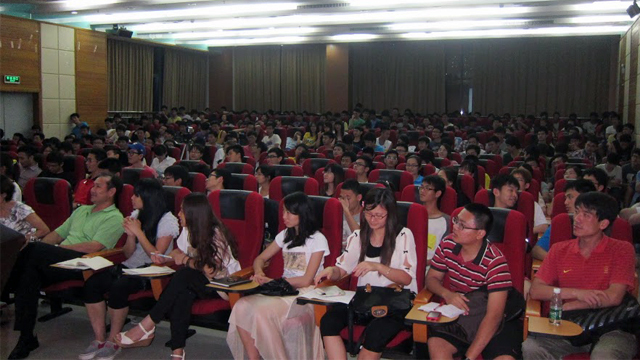 Dr. Clark teaches leadership skills to students at Peiying Vocational School. 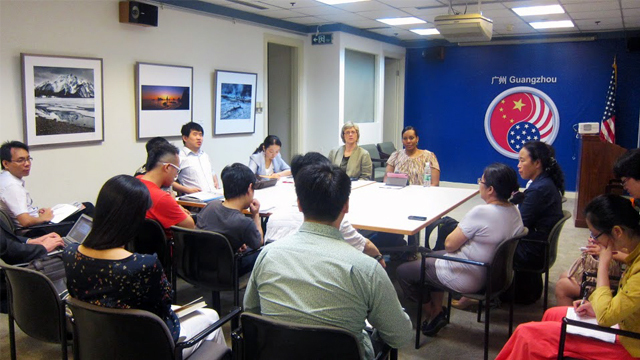 Sports Envoys Dr. Becky Clark and Dr. Woodson-Smith meet with Exchange Alumni and NGO representatives about promoting disability rights in the U.S.
Sports Envoys Dr. Becky Clark and Dr. Woodson-Smith make a presentation at Guangzhou Sports University to over 100 students about disability sports culture.